Every now and again life can get a little overwhelming. Times when we don’t have the motivation to carry on or to complete a task. I always find Motivational Quotes help change my mindset. When ever I am feeling a little under the weather or unmotivated, I use Google or Pinterest and search for motivational quotes. Here are 9 of my favourite motivational quotes. I would love to hear how you keep yourself motivated and what your favourite motivational quotes are. Couldn’t agree more with it! No one is going to push you except yourself. That is definitely one to keep on your mind every day. Thank you for the motivation on this Monday morning! Very inspirational! It’s easy to lose sight of the big picture, isn’t it? Sometimes quotes like these are exactly the pick-me-up I need to keep moving forward. Thanks for sharing! I love reading inspirational quotes, and these are such lovely ones! Sums up what the #itsok linky is about… thanks for sharing this. I’m a sucker for a good quote and use them to inspire me all the time. I love number 6! Thanks for sharing with #MMBC. Hope you can join us today! I love the eighth quote. This definitely is so true and really inspirational! 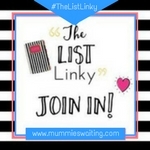 Sarah | Mummykind recently posted…8 things I never thought I’d hear myself say when I became a mum! I love the motivational quotes that you have given. Thank you for sharing this. Cheers! This is what I need right now, I need some motivational quotes that can keep me motivated everyday. Thanks a lot for listing some! You can achieve your goals by motivating yourself. So first keep yourself positive and encourage. A Vision Board can help in that. It is a simple tool which helps a person stay focused on his dreams and motivates him to put efforts to achieve them. It also helps you to invest your time efficiently.